Connecting more closely with customers is critical for any brand, but for a global giant like Coca-Cola, which owns over 500 beverage brands, it becomes a strategic art. 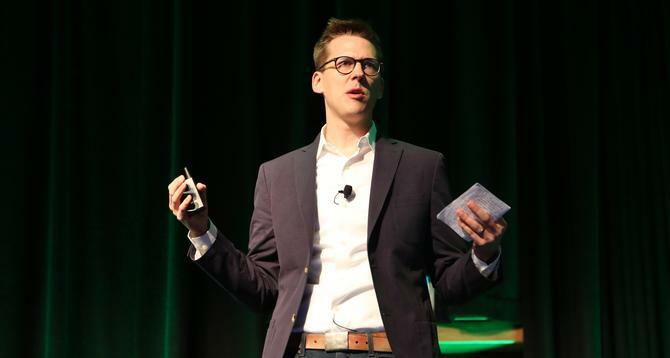 Speaking at ADMA Data Day in Sydney, Coca-Cola’s director of data strategy and precision marketing, Justin de Graaf, revealed what it takes for the company to drive engagement in today’s data-heavy and highly competitive digital landscape. One of the successes his team achieved was with the MyCoke loyalty program in the United States, which de Graaf said the company leveraged to increase its reach from 3 million to 18 million. What Coca-Cola was able to do was to use the customer data to find those people online and advertise to them in a personalised way. With more and ethically minded and health conscious millennials entering the purchasing space, de Graaf said he remained confident Coca-Cola as a company will continue to be competitive, agile and connect with the next gen consumer. The reason is its emphasis on product innovation. “We have over 500 brands across a number of categories that we currently own and we do a lot of innovation across products we currently manufacture or looking to buy,” he said. “Kombucha is a great example - it's an up and coming trend. People are drinking more and more of fruit juices and brewed teas. So we partner with people on that. The next-generation consumer brings more exciting opportunities than pressing challenges, de Graaf claimed. Despite the rich data Coca-Cola can obtain from retail outlets and loyalty programs to create a more personalised marketing strategy across its brands, de Graaf said getting data from food service on premise spaces like restaurants and pubs is still an opportunity to be explored. This is particularly paramount with customers that purchase the company’s beverages socially, but not via traditional retail outlets. “The way a food service on premise outlet manages data in their systems is simply not the same as a retailer,” he said. “Coles has loyalty information and shopper purchase choices and how often, but with the pub, you might pay in cash – or yelling over the top of somebody and it’s a quick transaction. It's harder to get to know the people purchasing there and their preferences. “What we miss out from that is the opportunity to communicate to you and talk to those customers who like it for that occasion. Like any data specialist, de Graaf admitted one of the day-to-day challenges is still trying to tackle a lot of data. “There is still the challenge of where do you start? And that can be overwhelming,” he said. “But our team does a regular prioritisation exercise where we try to lay out what we could do or what we should do and we filter all of that through what's going to help the business vision, sell the product, connect with our consumers better and build better relationships with the people who are trying to reach. And if we can do those things, then it’s a good project. It's a good idea. One of the key ways to reach greater customer connectivity is having a c-suite that’s understanding and supportive of the data strategy team’s vision. de Graaf said this c-suite collaboration resulted in his team expanding from two staff to nine, and a 12-fold budget increase. “Why we've had success is that we have executives who are open to us. That's important because they know what they don't know,” he said. “Plus they have done a good job of building and cultivating teams who are talented on subject areas that round out a team. What I mean by that is we have access to people knowledgeable in different areas so that we can help build that knowledge of our executives and our colleagues. As a result of respecting the conversation and dialogue with the company’s executives, de Graaf said his team is then able to come back with better, more targeted content that's business driven, that's going to be valuable. “An executive that’s going to do right by the business is going to be open to hearing those stories – and will ultimately be able to better embrace more opportunities that are coming that can help the business,” he added.